From time-to-time, we'd like to take a look at historic writer's rooms—the place where a writer's thoughts and ideas take hold. Can you believe it was from this small table that Jane Austen sent her publisher the final manuscripts of Sense and Sensibility and Pride and Prejudice? From this delicate 12-sided walnut table also came Mansfield Park, Emma, and Persuasion. 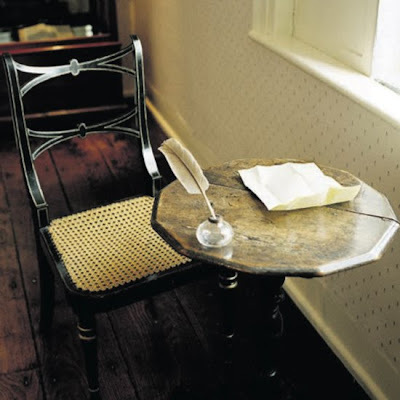 The table still sits in Chawton Cottage, the house where Austen began to write again after a long period of silence between 1800 and 1809. And, write she did! 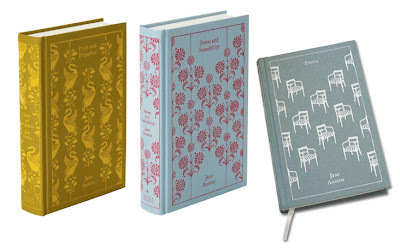 We love Penguin Classics' cloth-bound editions of some of literature's most beloved books, including many works by Jane Austen. I've seen these books in person - they are lovely! A great keepsake.